This dagger has a slight dent in the wooden handle where it has pressed against the edge of another blade. Its function is not affected. 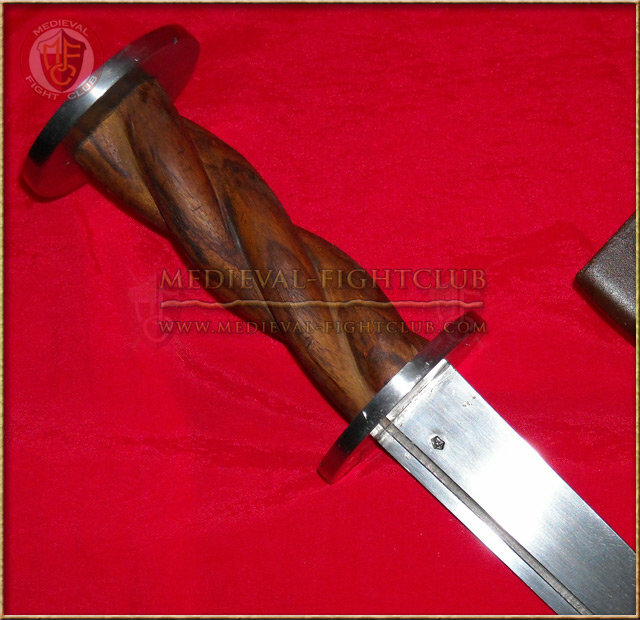 Full tang multi-use dagger for the medieval re-enactor. Could be used in combat and is ready to go. This dagger has a 5mm false (back) edge and 1~2mm blade edge. 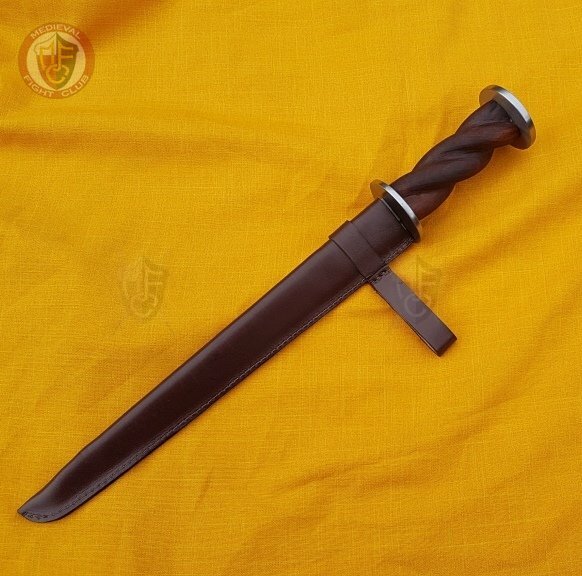 This dagger features a circular guard & pommel, wooden grip and full tang blade that is peened through the pommel. It also includes a leather sheath with belt loop. The straight blade would not have lent itself to a slashing or sabre action. Rondel daggers were ideal in battle for puncturing chain mail, and although they would not have been able to punch through plate armour, they could be forced between the joints in a suit of armour and helmets. This was often the only way in which a heavily armoured knight could be killed. 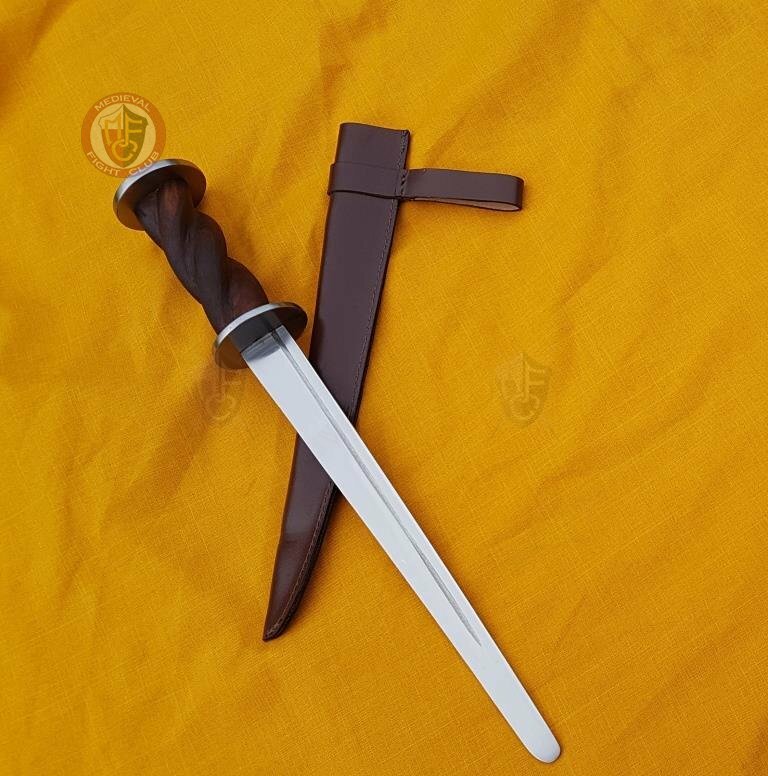 Before year 1400, the daggers can be considered a townsmen weapon but with the arrival of the 15th C. it became very popular as a weapon for knights, nobleman and merchants. We can see examples of this kind of dagger being used in the Wallerstein codex, and also many pictorical and iconographic references of other kinds. Also known as misericordie (mercy) daggers, one of its uses is to give a merciful death to the badly wounded. 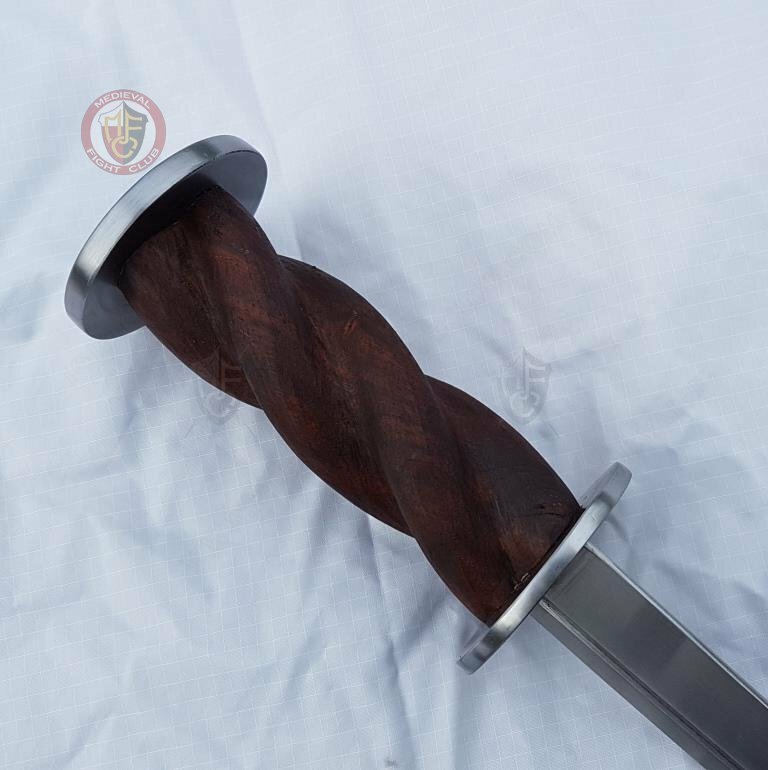 The stiff contruction and very sharp pointy blade let this weapon to pass trought the maille and armour. 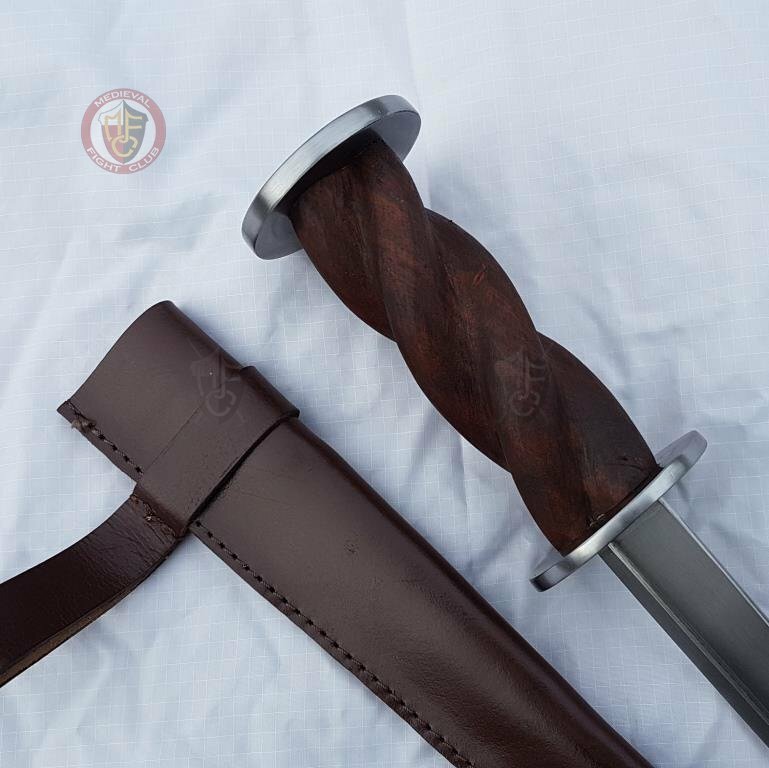 Our rondel dagger is loosely based on an original find dated to the 15th Century, with the same twisted handle shape. It is served blunt, and ready to be used in re-enactment and training. Please NOTE - This dagger has a rounded tip. It has one straight edge (false edge) and one rounded.